The country's manufacturing sector performance further strengthened in February and touched a 14-month high driven by acceleration in sales, output and employment, a monthly survey showed Friday. The Nikkei India Manufacturing Purchasing Managers' Index rose to 54.3 in February, from 53.9 in January, amid a robust improvement in business conditions. This is the 19th consecutive month that the manufacturing PMI remained above the 50-point mark. In PMI parlance, a print above 50 means expansion, while a score below that denotes contraction. According to the survey, the February data reflected strongest improvement in business conditions since December 2017, sharpest rise in factory orders for 28 months and underpins faster increases in production and employment. "The Indian manufacturing sector made further progress midway through the final quarter of FY18, building on the accelerated upturn noted in January," said Pollyanna De Lima, Principal Economist at IHS Markit and author of the report. Lima further noted that the upturn in employment was one of the best seen for six-and-a-half years, as goods producers sought to expand output capacities to meet strengthening demand from both domestic and external sources. On the inflation front, rates of both input cost and output charge inflation remained subdued by historical standards, despite picking up from January. "The survey results suggest that manufacturing will likely provide a stronger contribution to overall economic growth in the final quarter, provided that March's figures stay on this favourable path," Lima said. For FY19, IHS Markit has revised higher its GDP growth forecast, from 7.0 per cent to 7.1 per cent, amid the announcement of fiscal stimulus for the new interim budget and the policy rate cut announced in February. 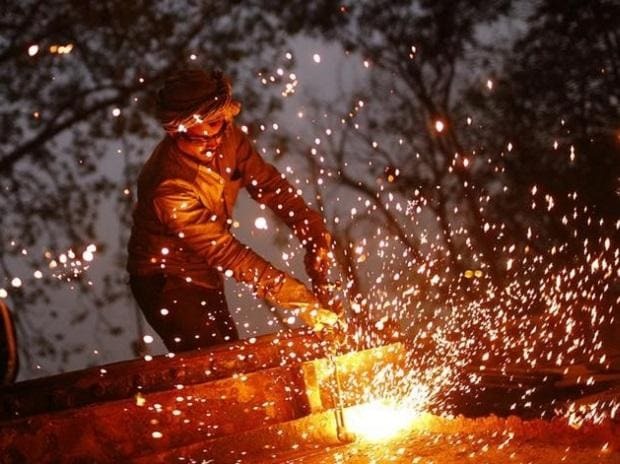 India's economic growth slipped to a 5-quarter low of 6.6 per cent in October-December period of 2018-19, mainly due to poor performance of farm, mining and manufacturing sectors, official data showed Thursday. The Central Statistics Office (CSO), which released the national account data for the third quarter, also revised downwards the growth estimate for the full fiscal (2018-19) to 7 per cent from 7.2 per cent.